Limoges... with its cobbled streets, its half-timbered houses, its porcelain and ceramics, its gastronomy... The ibis Limoges Centre is ideally located in the heart of the city and is waiting for you to discover the many charms of the city! 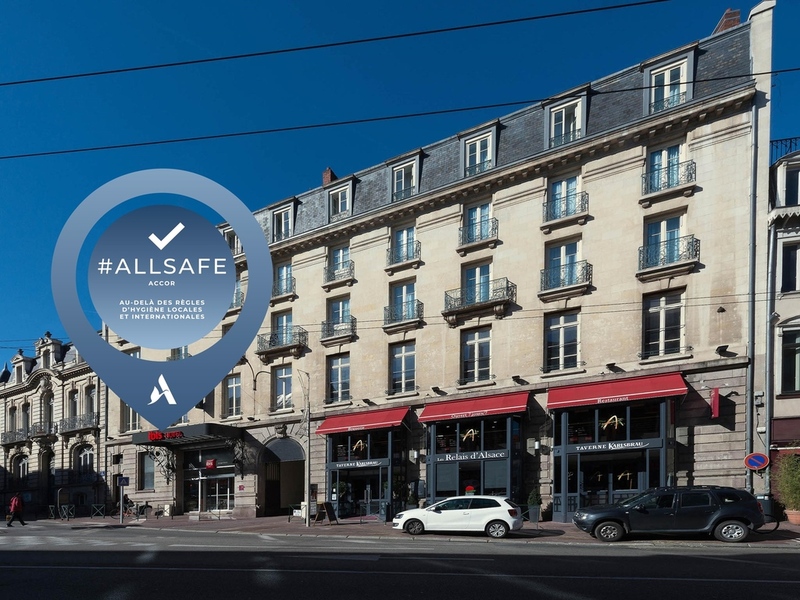 The ibis Limoges Centre hotel is located in the Limoges city center.Close to restaurants, shopping streets and the Limoges historic center, it is an ideal starting point for visiting Limoges. Our hotel is not equipped to accommodate guests with reduced mobility. First stay in Limoges. Usual Ibis comfort standard. Good bed - good shower room with lashings of hot water and good choice for breakfast. Also good advice regarding where to find a good evening meal close by. Usual good Ibis value. Comfortable bed, clean room, GREAT breakfast and friendly staff. Friendly staff, clean room, overall good. Only issue, traffic noise inspite of the glazed windows and getting to the parking lot. Would have appreciated the mention of extra charge for parking fees ! Hotel well located for stopping on the way to Spain. Comfortable, close to restaurants and historic centre. The stay was up to and above expectations. I was greeted promptly, checked in efficiently, and enjoyed a comfortable stay and nice breakfast. We stayed overnight when we were visiting an event in the city centre. The location is very good for city cente visits. Parking was unavailable at the hotel but a low cost public parking was only a short walk away. A bit noisy at night but you cannot blame the hotel for that. Lots of restaurants nearby. I got lost in Limoges I forgot my G P S ,the parking is a bit tight but ideal for the hotel . Good central location with secure parking. All that one expects from a well managed Ibis. A warm welcome from the helpful young receptionist. Ours was a one night stop over. Good buffet breakfast. Very good reception by two helpful ladies. Thanks to them. Bedding is very good. Breakfast lacks cooked eggs, only boiled ones by the guest, who burns his/her fingers!! Clean and comfortable with an excellent breakfast and very helpful staff. I was very satisfied with my stay in the hotel. All the staff were very helpful. The hotel was clean, comfortable and convenient. The breakfast options were very diverse and all delicious. All in all it was a very good experience and I would happily stay at this hotel or any other ibis hotel again. Fair value for price, good location, Wifi was erratic and after a while not available in the room and nothing could be done to solve the problem. Good central location near to old town, though Limoges was disappointing, being a rather dirty, unkept town in our opinion.